'What can I serve with fish' is one of the most common questions in my mail box. The simple answer is 'anything you fancy' but of course, that's not really what people are asking. 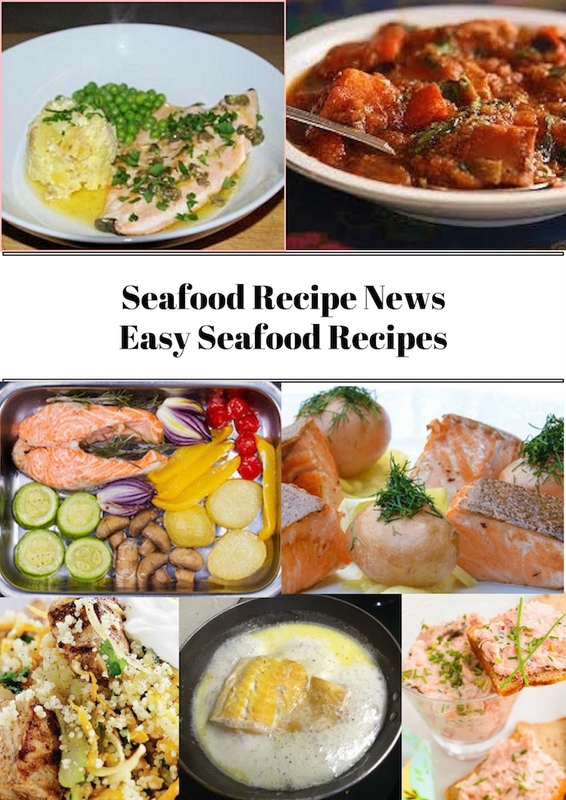 Most of the recipes you'll find on this site have serving suggestions - what sides to serve with seafood - so you've got a complete fish meal, down to the potato and vegetables. 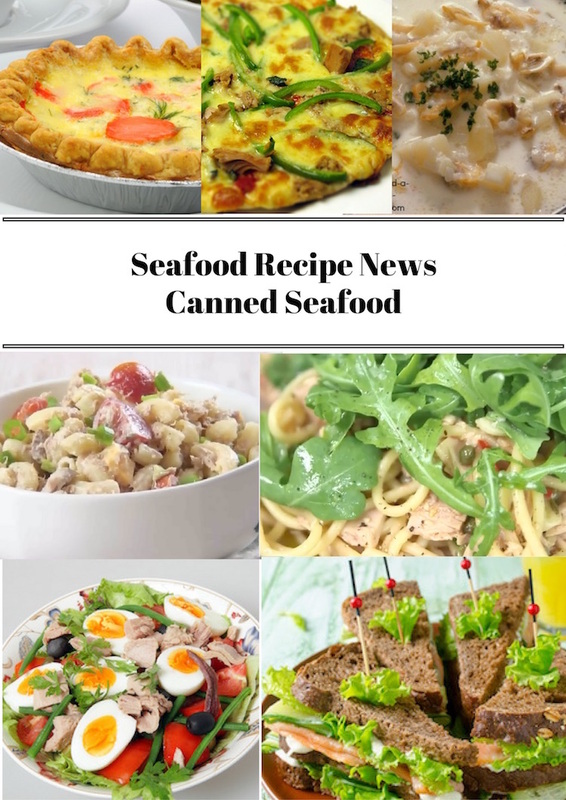 This issue of Seafood Recipe News is going to give you some guidelines, so you can decide for yourself according to your budget and family tastes and gain the confidence to meal plan with fish. People don't seem to struggle in the same way with meat as the main part of their meal and by the time you've read this month's issue, you'll feel exactly the same about serving seafood to your family and friends. A basic rule is if you have a plain, dry fish then you want a saucy side - if you have a saucy fish meal, then plainer sides are best. So for example, baked salmon steak would be good with a cauliflower cheese or braised celery in white sauce and buttered new potatoes. Cod in parsley sauce would work with mashed potato and peas. An alternative is to serve a sauce or herb butter with your fish or vegetables to give you that bit of moistness that most people like with their food - as you'd use a gravy when you serve meat. Very few people prefer 'dry' meals. Now the first suggestion here, isn't so much the answer to the question, but more what fish dishes can I serve Red Lobster Biscuits with! It turns the question round. They are so delicious and when I first came across the recipe, I thought oh my goodness! What can I eat these with apart from butter? So - simple enough really - any seafood soup, bisque, chowder - I think they'd also be very nice with a saucy pasta dish so long as nobody minded a carb overload - on the other hand, many people serve garlic bread with their pasta. The recipe here gives you a bisquick mix too so that you can have them ready in double quick time when you want to make them again. 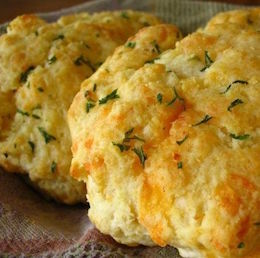 The photo below will take you to the Seafood Recipe News edition that features a good selection of soups to get your mind working on how you can eat more Red Lobster Biscuits! Crushed new potatoes are perfect to serve with pan fried fish which have maybe a thin, wine or butter sauce. They've got a slight wetness to them either from mayonnaise or oil/butter so they're just right for pan fried seafood. They are so easy to make but look really impressive on your plate. You normally press them into a cup or small dish to shape them and then they sit very neatly. It's also a good way of getting portion control, especially if you're having more than one course at a dinner party. This is a Southern Fried Tilapia recipe, but you can use any white fish you like for the recipe. It's an extremely authentic 'Southern Fried' coating, tasting much like the Colonel's who's very famous for his chicken. The perfect accompaniment for this is coleslaw and fries - and salad if you're feeling that you should be putting something green on the table too. This combination is great with anything fairly dry, coated in breadcrumbs or deep fried in batter - so fish fingers, fish cakes or goujons for example. It's the heat from the fish and fries with the coolness of the cabbage, carrot, mayonnaise mix that seems to combine all the flavours together and make them just meld, in a taste of 'oh, isn't there any more?'. Of course, there's also the good old fashioned, fish, chips and peas - then it's best to serve a tartar sauce with that and perhaps a lemon wedge. When it comes to what to serve with fish cakes, the answer proves quite a problem for some people. You've already got potato in the fish cakes most times, so what else can you put with it to make a 'meal'? 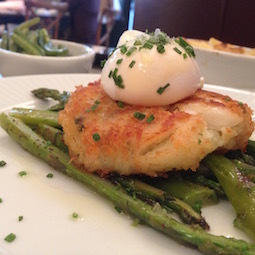 Well, it can be anything - as you can see here, this is a rather fancy appetizer Smoked Haddock fish cake with a poached egg and asparagus - very tasty it was too! If you're serving kids, then they might like bread and butter and some peas or baked beans. You can serve a few fries or potato wedges with them if you like. For grown ups, they might prefer some buttered new potatoes and green vegetables or salad with some tartar sauce or mayonnaise. Or you could use the mixed vegetable idea here. The photo below shows a really neat way of serving a mixture of vegetables as a portion - they've been dropped into a small bowl, cabbage, peas and carrots and then turned out. I like this method and think it looks very appetising on the plate. A pat of herb butter on top would make this just perfect. It was served with a fish and broccoli bake topped with potatoes - there was a cheese sauce in the bake. 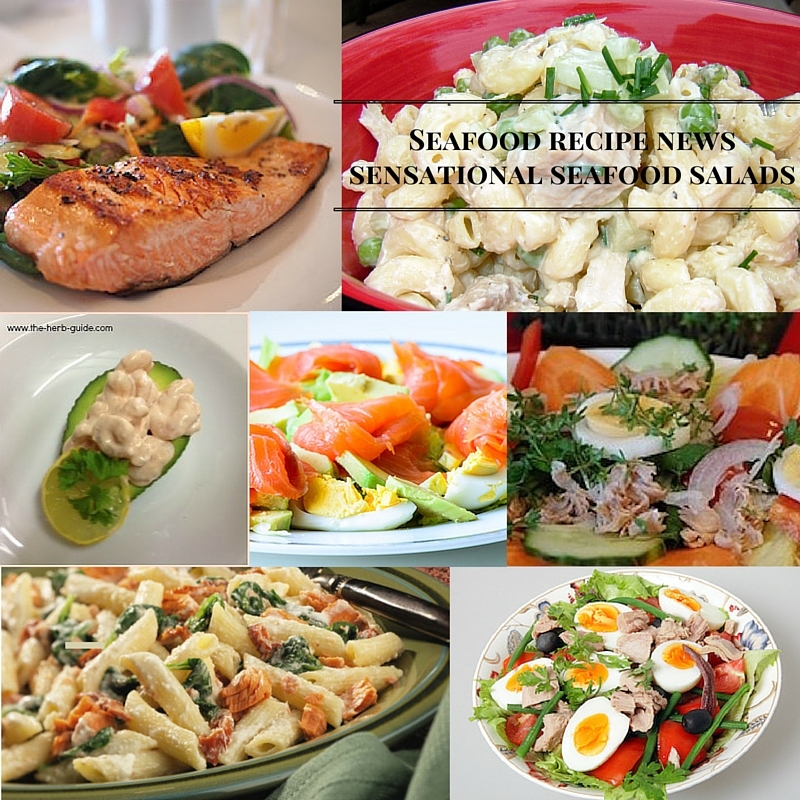 Salads are perfect with seafood - just look here at the combinations and this isn't the end, just a selection of ideas. There's baked salmon with salad, pasta salad with salmon or tuna, Tuna Nicoise, which is a classic dish, smoked salmon salads, avocado and shrimp salad. All great choices for mains or appetizers. If it's a light salad and you want to make it a bit more substantial, then some boiled new potatoes, a baked potato or some bread and butter will make the meal more filling. A dollop of mayonnaise is great as well. You can make your own following the instructions here or buy it in a jar. Mac and Cheese - as a Brit, macaroni cheese has always been an entree. It's getting more common to offer it as a side now, even in the UK and I got to thinking - what can you serve it with. I love it, it was one of the first things I remember my Dad cooking when I was really small and so it's comfort food. ...and I feel much the same way as I did when I discovered the Red Lobster Biscuits. How can I get more of this??? It's great as a side for plain barbecued, grilled, broiled or baked fish - any plain fish steak/fillet would benefit from mac and cheese - add some broccoli and you've got a meal that would be great for family or a dinner party. Think salmon, swordfish, tuna, halibut, turbot, cod, pollack, whiting etc. You can mix cooked fish into it as well - diced cooked lobster, shrimp, leftover cooked fish. How about a can of tuna, salmon, smoked mussels or crab. What's in your cupboard or freezer? Lobster Mac'n'Cheese is quite famous as a combination. 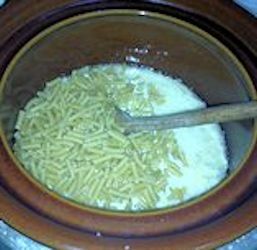 Oh the other thing, this recipe is for slow cooker mac and cheese - it's so simple, only one pot to wash and it takes 90 minutes but you need to stir it at 30 and 60 minutes. I wouldn't have believed how easy this was to make and nor will you. No more boxes, no more two pans and a dish to heat it up again - one pot, 90 minutes. Bread - plain, crusty, herb or garlic. All perfect with seafood pasta dishes, mussels, soups, stews, casseroles. It makes a fairly easy midweek or busy night meal for you - a one pot meal with chunks of bread to mop up the sauce - filling and tasty with not much clearing away or preparation. 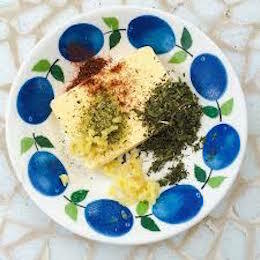 If you buy plain bread, then you can use the recipe for herb butter to add some extra taste - no need to go in for making elaborate herb breads, when the butter can do it for you. Savory butter is perfect to pop on top of plain fish or vegetables to melt and give you the extra bit of moistness that you might like from your meal. Just make up a batch of herb butter, slice it into rounds or put it in ice cube trays ready to bring out when you want them. 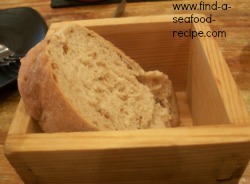 It's also useful to use for making herby tasting bread to have with soup or pasta. 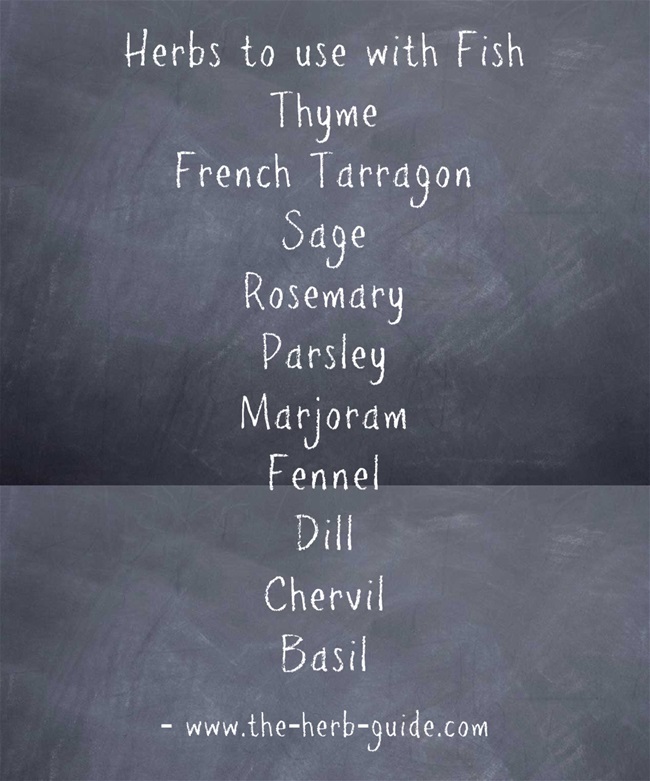 There's a handy chart below here which tells you which herbs are best with fish, but the choice is yours. There's a link here that opens up a window with some herby seafood recipe ideas. There are thirty different fish sauces here for you to choose from to serve with fish. Bernaise, hollandaise, parsley, cheese, marinara, spicy, cocktail - seriously, you'll be spoiled for choice. If you have a plainly cooked piece of fish, then you can have plain vegetables and use a sauce for added moistness. 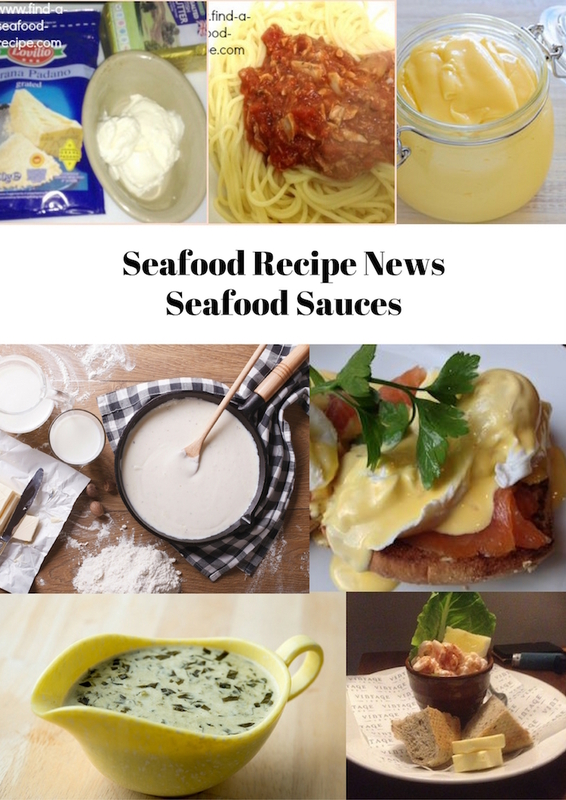 The photo above links to the Seafood Sauce issue of Seafood Recipe News in case you haven't seen it. For potatoes, you've got baked, roasted, fries, crushed, creamed/mashed, sauted, Lyonnaise, Dauphinoise - it's an endless list, but stick to the rule, if you've got a dry fish, then look for a wet potato side OR a wet vegetable OR a sauce. Vegetables - anything goes, whatever is in season is always a good start. Cauliflower Cheese is great for a grilled or baked plain fish. Leeks in white sauce, another good 'wet' vegetable, braised celery in white sauce. Peas, broad beans, diced carrots, broccoli, runner beans, french beans, asparagus, fennel - add some herb butter if you like. Color is important - food is visual as much as anything, I'm not suggesting that you present your food as you would in a five star restaurant, just aim for some balance. Fish is often white or very pale (apart from salmon and other oily fish) so if you're using white potatoes and pale coloured vegetables, then the whole thing can look boring and insipid. Carrots add a real splash of color on a plate and they're very good for you and relatively cheap. I like to mash them with some pepper and butter. 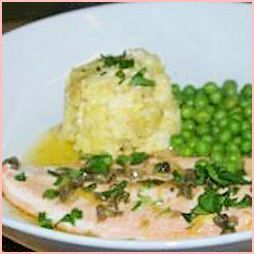 Peas are one of the main vegetables that go well with fish - also add a splash of color on the plate. Dark green buttered cabbage, spinach, broccoli, tender stem broccoli, beans, asparagus add something more vibrant to the visuals on your plate. Add some herby butter to your plain vegetables if you think they need a little bit of something extra. Don't forget mayonnaise is a great standby for plainly cooked 'dry' fish dishes. 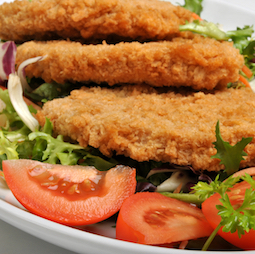 It's great with breaded fish and fries - something to dip in! Seafood Cocktail Sauce and Tartar sauce are great as an alternative. There's a great selection of sauces too here. If you've got dry fish and vegetables, then use a sauce - think how you'd use gravy with meat and just substitute sauce with fish. For other carbs, if you don't want potatoes, bread and butter is great - crusty bread for dipping into soups and sauces, Mac and Cheese as an option for baked or barbecued fish. Try savory couscous, bulgar wheat or rice with canned fish. For seafood pasta dishes, then try garlic bread, boiled/steamed broccoli or a salad. 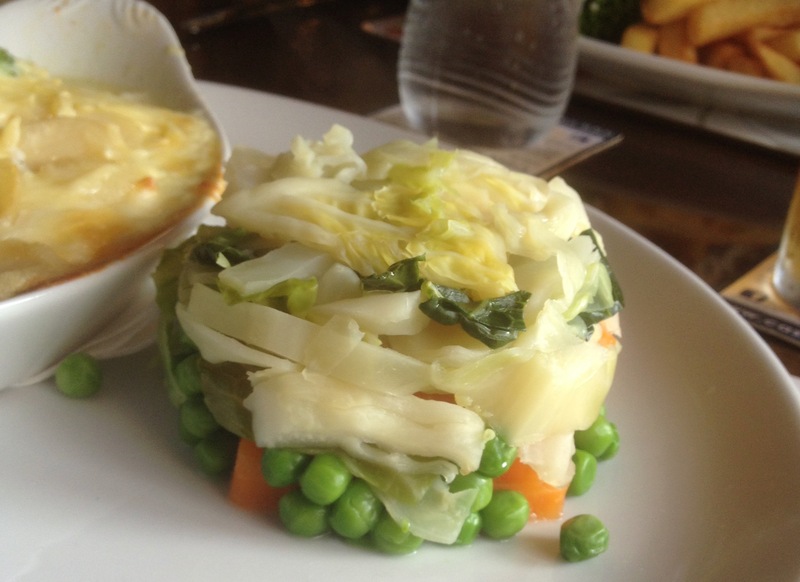 Seafood Lasagne is fabulous with a side salad and I love broccoli with pasta of any kind. 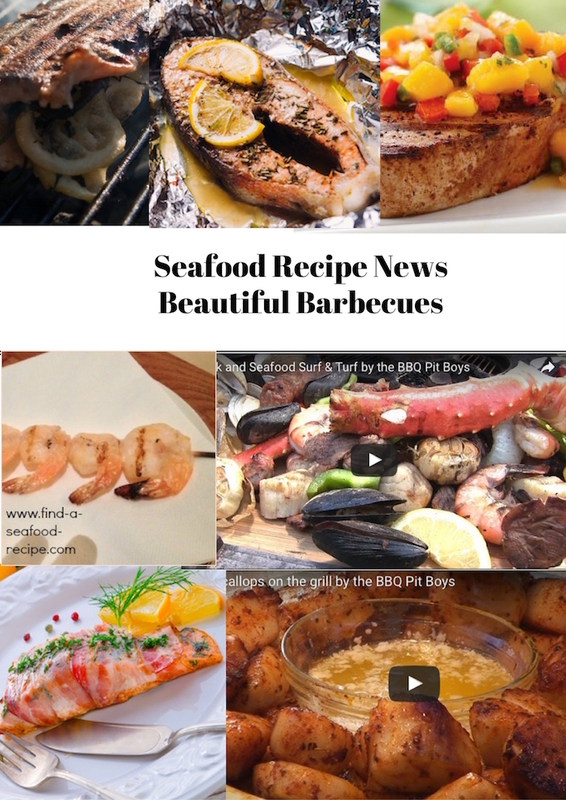 If you have any specific questions, then please drop me a line via the Contact page - or Liz at find-a-seafood-recipe dot com will also find me. 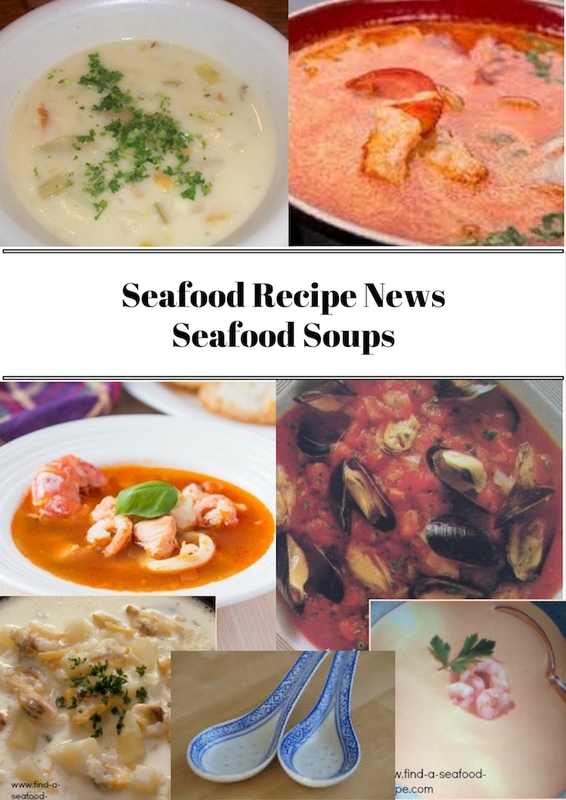 Check out the back issues of Seafood Recipe News - click on the poster. 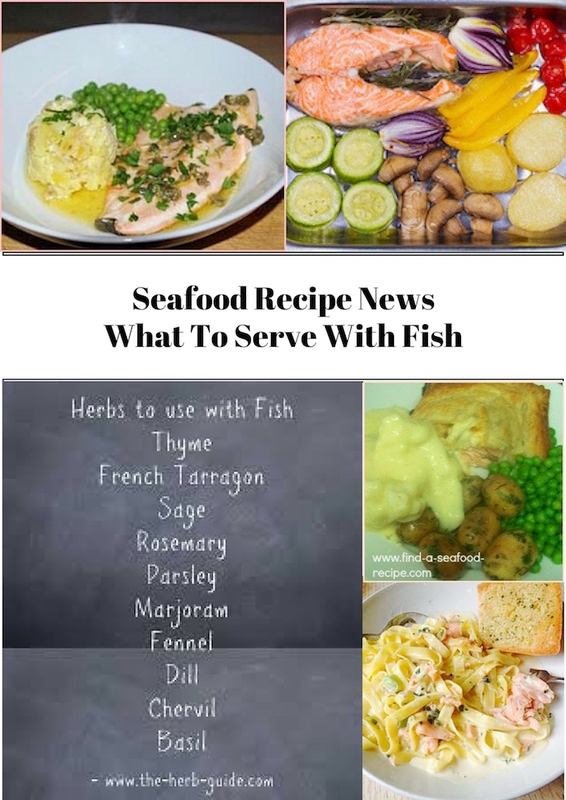 Seafood Recipe News Issue - What can I serve with seafood and fish? Lots of ideas and handy tips for becoming as confident at meal planning your fish meals as you are with meat.